Human beings were powerless to halt the tsunami that took nearly 20,000 lives last March 11. But as the anniversary of that day approaches, the survivors may be facing another disaster—and this time, the Japanese people have the capacity to help. This problem is reaching the point where it could severely worsen the harm that has already been inflicted on Tohoku. The message that the people of the region are currently receiving is that their fellow Japanese view them as “contaminated.” That is not only false and offensive; it could have a corrosive impact on the disaster victims' mental health. If people in this country fail to stand up against this travesty, they will be complicit in it. Tell your local government officials—both at the prefectural and municipal level—that you wish them to approve plans for the burial in your area of this debris. The more emphatic you are, the better. You might consider telling them, for example, that if they don’t accept such burial plans, you’ll help organize to defeat them in the next election. Many government officials are laboring mightily to overcome the resistance. But there is a problem with their strategy. Their idea is to calmly present the facts about their disposal plans to local residents, and although that may sound perfectly sensible, trying to explain the facts about radiation to some people is an exercise in futility. Officials will have no difficulty convincing some of us—that is, people who have educated themselves a little about the numerous academic studies showing that radiation is a much less potent cancer-causing agent than is commonly believed. But no matter how many charts and graphs officials use to prove that the risk from Tohoku debris is infinitesimal, they will never assuage people who see radiation at any level as sinister. And those are the people who have been swarming local meetings, drowning out supporters of burial proposals. Hence the urgent need for ordinary citizens to rise up and combat the hard-heartedness that is being directed at the people of Tohoku. It is bad enough that the refusal to accept the wreckage is based on ignorance and that it may delay reconstruction. Worst of all is the disregard for the well-being of people in the disaster-stricken area. By far the biggest danger people in Tohoku face from the crisis at the Fukushima nuclear facilities is psychological--becoming stressed, depressed or pessimistic about their futures because of fears that they or their children are likely to become sick, or fears that others will perceive them as defiled. That is one of the major lessons of the Chernobyl disaster, where studies have shown that depression, alcoholism, anxiety disorders, suicide and other stress-related problems were by far the most damaging public health consequence for people living in the affected areas of Ukraine. By clearly showing a willingness to share in disposing of Tohoku debris, the people of this country would not only help speed reconstruction; they could help lift the spirits of children who have lost beloved relatives and friends, and who are struggling to overcome despair. They could help minimize the risk of long-term emotional injury to people whose courage and endurance last March gave this country back some of the pride it has lost in recent years. Some argue that the wreckage should be buried in the stricken areas, because it's foolish to “spread contamination around.” Even if it were practical to leave the rubble in Tohoku--which officials insist it's not, given the huge amount involved--it would be heartless, because of the hurtful sentiment that would be conveyed. Of course, any material that is distributed for burial must be carefully tested—and not just for radiation. A number of chemical plants and other factories were destroyed by the tsunami, so perhaps some of the debris contains toxic matter that can only be safely buried in very remote locations. But Japanese waste disposal technology surely ranks among the most advanced in the world, and if the people in charge can't be trusted to handle this job responsibly, then we've presumably got much bigger environmental problems to worry about. This issue should be unrelated to the debate about whether to continue using nuclear energy in Japan. Whatever our views on that subject, the least we can do for the people of Tohoku is to be supportive--not just sympathetic and charitable, but encouraging in meaningful ways about their prospects for returning to normal, productive lives. My wife and I, like many people in this country, buy as much of our food as possible from Fukushima-ken. We've ordered, and immensely enjoyed, three gambaru pakku ("Hang in there!" boxes of Fukushima vegetables, fruit and miso), and most of the apples, peaches, strawberries and rice we've consumed over the past year have come from the prefecture’s farms. We're totally convinced it's safe; we would never allow our elementary school-age sons to eat it otherwise. For people who can't bring themselves to favor Fukushima food, I hope they'll consider demanding that their local governments accept rubble from Tohoku for disposal. I don't know whether Kamakura, where I live, has a place big and practical enough, but if Kamakura could take even a symbolic amount, I think we residents should feel honored. This stuff may look like junk now. But it is the remains of the precious homes, workplaces, schools and possessions of people who, amid unfathomable anguish, inspired the world with their dignity and community spirit. Can't we bury it with the respect its former owners deserve? 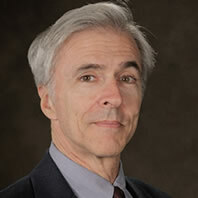 Paul Blustein, a former Tokyo correspondent for the Washington Post,is an author and researcher affiliated with the Brookings Institution and the Centre for International Governance Innovation.